When buying a home one of the biggest tasks to tackle first is finding a lender. The lender you choose should walk with you through the entire process of purchasing a home, much like a good Real Estate Agent should. The lender will gather information (full name, social security number, work history information, etc), gather documents (proof of income - pay stubs/W-2 forms, tax records, credit history, proof of assets - bank statements, etc), and then will discuss with you the best loan type and rate to fit your needs. When it comes to lenders, there are two types; national and local. A national lender would include places like Quicken and large banks; such as; Bank of America or Wells Fargo. A local lender would include offices like Guild Mortgage and Movement Mortgage who have offices across the country but work locally in the area where their office is located. No matter what type of Mortgage Company you use (small or large, national or local). The mark of a great lender (just like a great Real Estate Agent) is when you hit a bump; and it is possible you will - even with the best, having access to someone who has the ability to sit and talk you through the process or takes the time to walk you through the process over the phone is important. With national lender the interest rate is generally lower – Because a national lender is larger than a local lender, they can often afford to give out lower interest rates. (You may end up paying more closing costs to make up for that so be aware of that.) With a local lender, your interest rates may be a little higher, but they may be able to help with some of the fees included in the closing costs. With national lenders being so much larger than a local lender, there is a possibility that you will be treated like a number and fall by the wayside in the midst of the transaction. 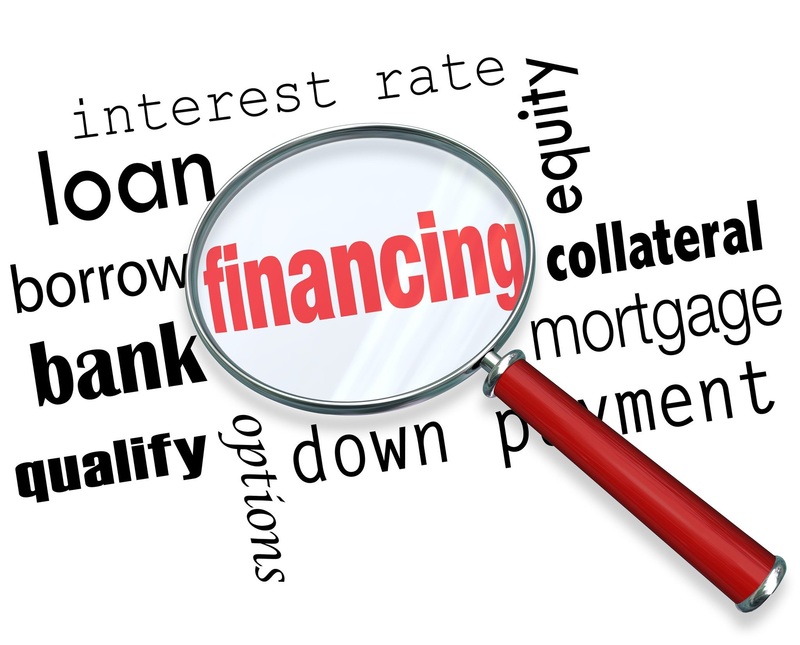 Communication with a local lender is often times much easier, because they live in your city. You can pick up the phone at 9 am your time and reach them at 9 am their time. You can set up an appointment with them and walk right into their office and have a sit down meeting with them. For example, you have questions about a part of the process, with a national lender, because of the time difference, because of the volume the lender is handling at one time, it could take longer to return your phone call or email. Whereas with a local lender, they may have extra time to answer your questions or set up a meeting at their office. Another example – You’re in the middle of the transaction, there are documents needed to be able to clear the loan or submit to underwriting, because of the number of transactions your loan officer has or the processor for your transaction as with a national lender, that slips through the cracks which may ultimately delay closing. A local lender and processor won’t have that amount of files at one time, they’ll be able to send you an email or give you a call to remind you to turn in documents or get things taken care of. Another thing you may encounter is, you go to your bank’s local branch to get a home loan, the loan officer at the branch then sends your information, documentation, and file to someone else; often times; someone in a different state which could mean a different time zone to do the loan work. You may also not have one loan officer who works with you through the whole process—someone who remembers to call and remind you to send in your paperwork. You may work with two or three different loan officers throughout the transaction. With some national lenders, they’re going to do the work on the back end rather than the front end (some people may call this reactive instead of proactive). They ask you a few questions – salary, credit score, etc then after you find a home they’ll ask for documentation to officially approve you) Where as a local lender may ask you questions and ask for documents up front to confirm approval of loan amount prior to searching for a home. Though it may seem like a lot of work at the beginning stages, the last thing you want to do is think you’re approved for a loan of $200,000 and find a home you absolutely love, then find out you can only afford a home at $150,000. A local lender, is just that, they’re local. They live and work in the city in which they do business. With that, they know more about the geographical area in which you are searching for a home. They know the home you love and want to offer on that’s located in a more rural area may qualify for a USDA loan when you may were originally looking into an FHA loan. Say, for example, you’re self-employed. Digging up tax returns, profit and loss statements, and business balance sheets isn’t a walk in the park for any self-employed home buyer, but a local lender may be more willing to help you through it. If you have a few credit issues on your credit report, a local lender might be more willing to work with you over a period of weeks or even months to raise your credit score. A national lender, may say, contact me in a 6 months to a year when you’ve completed this or that. Along with the lender handling their side of the transaction, you want them to be upfront and responsive with numbers and figures, you have a job to do as well - you have to keep up your end. When they ask for more income verification or other documentation, get it to them quickly. If it’s not immediately accessible, let them know when to expect it. Be sure to ask the big questions up front – fees, time frames, documentation needed (so you can be as proactive as possible), be aware of your budget throughout the process (don’t purchase a car or boat or brand new furniture during the transaction), if you don’t understand something in the midst of the transaction, ask questions. That’s what your lender is there for. Whether you choose a national lender or local lender, pay attention to how they respond when you initiate contact. Can you talk to a real person who will give you a name and number to call back with more questions? Are they polite, helpful and quick to reply? This is also the time to assess their expertise. Are they happy to help explain your different choices and educate you on the process, or are they impatient? Do they initiate a discussion about your timeline or how and when to lock in a rate? Do they explain how or when rates will change? How they treat you on your first encounter usually sets the tone for how they will treat you throughout the entire process.